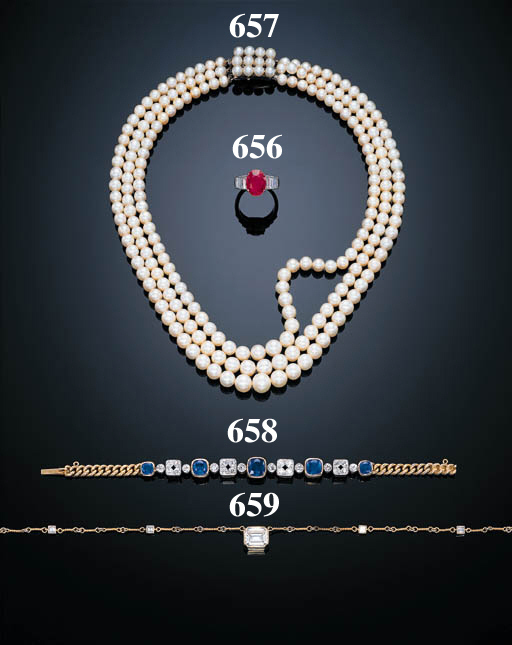 Of sixty-seven, sixty-nine and seventy-three graduated pearls measuring approximately from 4.85 to 9.10 mm. to the three row clasp, 41.0 cm. With certificate 32658 dated 18/9/1998 from the SSEF Swiss Gemmological Institute stating that the 209 pearls are natural. The pearls on the clasp have not been tested.